Lahren will provide political commentary on Fox News' conservative opinion shows, primarily Sean Hannity's primetime program, Fox News said in a release announcing the news on Wednesday. Lahren will also have a "signature role" on a digital product currently being developed, Fox News said. Details about that product were not immediately available. "I am blessed and honored to join the Fox News team," Lahren wrote in a Facebook post. "This exciting new step will allow me to give voice to all the America-loving patriots who have had my back since day one." While she was at TheBlaze, several of Lahren's signature "Final Thoughts" segments -- short bombastic monologues -- went viral and ignited controversy. 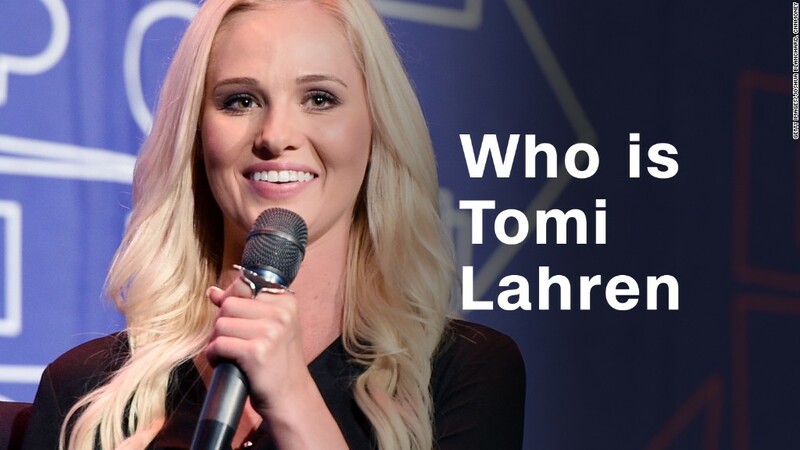 Lahren also came under widespread criticism when she compared Black Lives Matter to the KKK, an episode that culminated in a debate on "The Daily Show" with Trevor Noah. Lahren left TheBlaze earlier this year after she sued the network when she was pulled from its air following pro-choice comments she made on "The View." In her lawsuit, Lahren said her removal from TheBlaze was a direct result of the remarks, a claim the conservative media organization denied. TheBlaze and Lahren ultimately settled. Most of the details of the settlement were not disclosed.